August 9, 2018 Lego has launched a teaser site for its Overwatch line. We knew that Overwatch Lego was on the way, and it sounds like details aren’t much further off. The official website for the product line has just gone live, and though right now it’s so sparse it might as well have an ‘under construction’ sign, it does suggest we’ll get more concrete info on the new toys soon. The site pairs the Overwatch and Lego logs along with the phrase “let’s get this moving!” (See, at least Lego knows the value of getting on the payload.) A 2019 copyright on the page suggests that’s when we’ll see the new sets launch. Though there’s no guarantee that’s the case just yet, but given the license announcement earlier this year any delay past that point seems unlikely. Keep an eye on the new site for yourself. Overwatch getting the Lego treatment is a big deal, especially on the toy maker’s side, as Lego has typically been reticent to take on licenses aimed at adults. Though that’s softened somewhat in recent years with a number of PG-13 movie tie-ins, taking on a first-person shooter – even one as colourful and bloodless as Overwatch – was certainly unexpected. Lego site Brick Fanatics has some further things to share, but these should be planted firmly in the rumour category. That report suggests that the line will start with “six traditional minifigure sets, along with a supporting range of minifigure focused packs with key accessories,” and, er, be timed with the start of a new Overwatch TV series. An unnamed source isn’t something to put a whole lot of stock in, but that particular rumour is wild enough to at least be worth raising an eyebrow at. The initial announcement back in May also saw the Overwatch license getting handed out to a variety of other partners, like Uniqlo and Nerf. We have since found out what Reaper’s Nerf shotguns look like, at least. 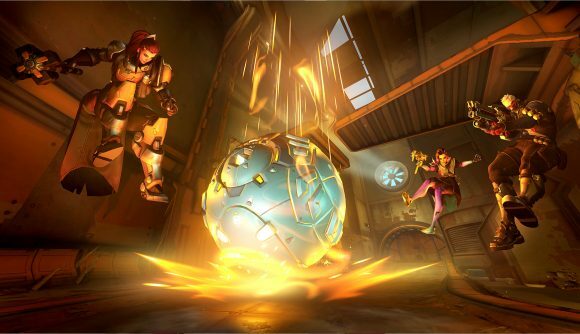 The Overwatch announcement came alongside similar deals for a variety of Activision Blizzard properties, including Call of Duty, Hearthstone, World of Warcraft, and Spyro the Dragon. More immediate for Overwatch fans are the Summer Games 2018 skins, which went live earlier today. The event is losing a bit of luster three years in, but there are still at least one or two top-notch new looks in the line-up.